© Ruth Carr and Somewhere in Bangkok, 2014. Unauthorized use and/or duplication of ANY material without express and written permission from this blog’s author and/or owner is strictly prohibited. As an experienced catwalk model, MiMi Tao is no stranger to strutting across a stage in six -inch heels. Today, however, she’s a bundle of both nerves and excitement. “How am I feeling? Well it all depends on if I’m going to take home the crown.” she tells me quietly, before striding off into the spotlight and flashing an ultra watt smile towards an empty auditorium. 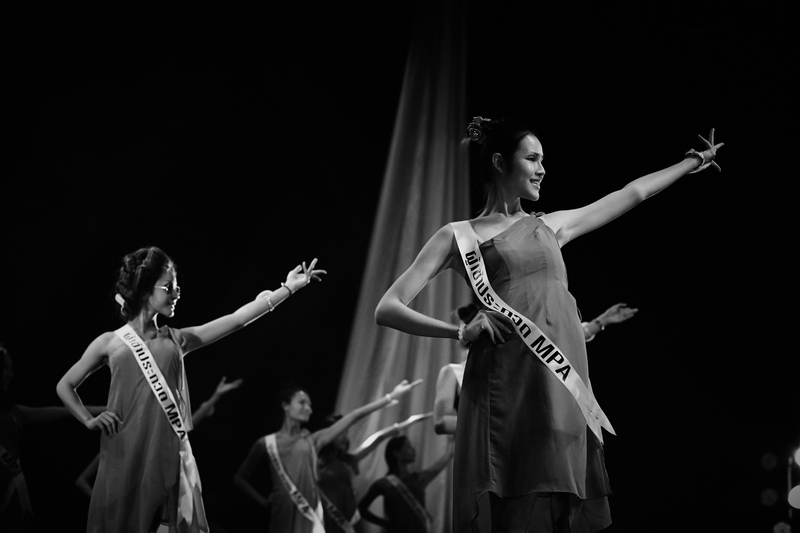 Across the stage, in what will be their final dress rehearsal, other pageant contestants take their places to the sound of a thumping dance track. With hair still in rollers, and makeup not yet done, they spin and twirl their way through a series of choreographed moves and high energy introductions. I’m Mimi, I’m 23. I’m from Khon Kaen! Hi. I’m Biw, I’m 24. I’m from Samut Prakan! I’m Mild, I’m 24. I’m from Chantaburi! Tonight all will take part in the Miss Perfect Angel Pageant along another 24 other stunning contestants. But Miss Perfect Angel is no ordinary beauty contest. Only in its second year, Miss Perfect Angel is an event that was conceived exclusively for and by Ladyboys (or transgenders) with the view to prove there is a whole lot more to this incredible subculture than just pretty faces and killer bods. 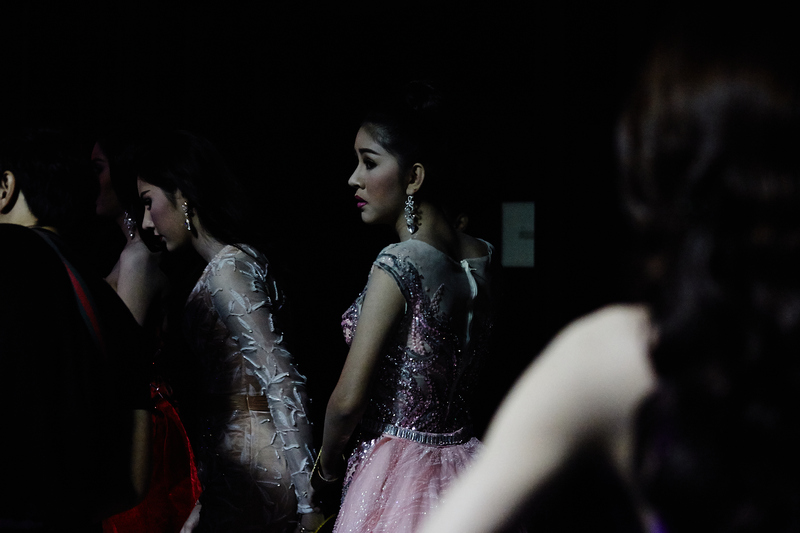 ‘Ladyboy’ is essentially the slang name given to the Thai (male) transgender community. Otherwise known in Thai as ‘kathoey’, ladyboy’s are exactly that – individuals who are born as boys but clearly identify as girls from a very young age. As children, all have a common story of wanting to dress, act and portray themselves in a very feminine way while by adolescence some begin intensive hormone therapy to offset puberty and later surgery to augment and redefine their bodies. With just a small team of six, as well as her good friend An-Na, (an experienced cabaret performer and choreographer in her own right), Ochin has worked tirelessly for months securing sponsors, devising the show, selling out the 600-seat auditorium, guiding the contestants on how to carry themselves and perhaps most significantly, working with them to study the teachings of Buddha and how to actively live a life of spiritual practice. “We want to teach them the qualities that they can carry on in their real lives and in their careers”, An-Na explains. “It’s not just about competing and winning, it’s about how they carry themselves and the example they set. The concept of the competition is firmly based on Buddhist principles – to do good, be a good person, to show respect and to contribute to society. If they can do these things, then hopefully the same will be returned to them by others. Through the competition we are trying to create role models, and ladyboys who can be leaders amongst their peer group”. The longer you spend in Thailand, the more you realise just how deeply the country is connected to its spiritual roots. Roughly ninety-three percent of the country identifies as Buddhist, there are spirit houses (shrines) in every house, garden and shopping mall entrance, adorned each and every day with fresh fruit offerings and burning incense sticks, while rarely do you see a Thai walk past one without pressing their palms together and giving a silent ‘wai’. For adolescent boys, time in a temple, having their heads shaved, donning robes and studying Buddhist text as a novice monk is also considered compulsory. Yet for ladyboys this ancient and important cultural tradition is often forbidden. As a consequence there is often shame attached and also a sense that you have not lived up to the obligations of your family, your faith and your culture. It’s a huge weight to bear. “For me it’s important to show that ladyboys can be good Buddhists and practise all the teachings of Buddha just as well as anyone else’, says Ochin. “During the two months we prepare for the pageant, we focus a lot on Buddhist reading and teaching, not just the other aspects like presentation and performance. We take the competitors to the temple and we give offerings to the monks. This is part of what makes our pageant different and also what makes it so special. No-one else is doing or offering what we are”. Donating all the profits from the Miss Perfect Angel event to a Buddhist temple in San Francisco is also Ochin’s own way of practising what she preaches and ‘making merit’ for both herself and her team. 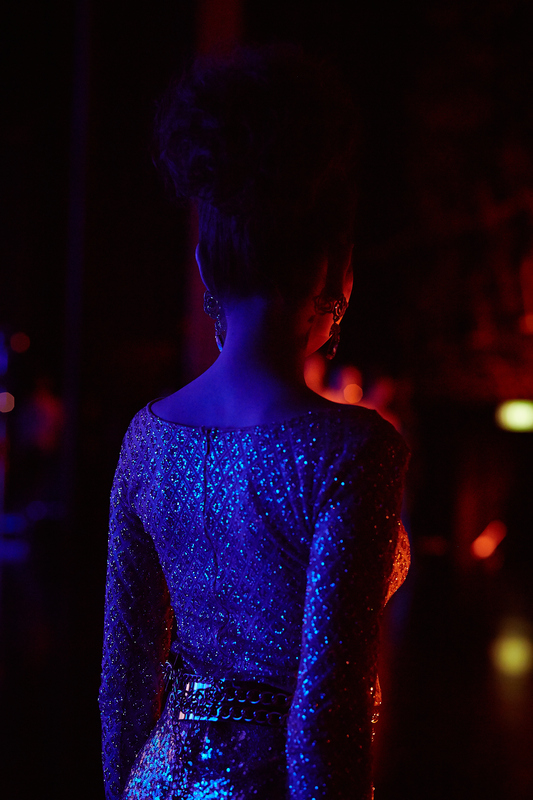 With just two hours to showtime, the dressing room is abuzz with teams of hair stylists and make-up artists working feverishly on the contestants – attaching hairpieces and false eyelashes, layering on heavy makeup, slathering legs and arms with shimmering body cream and pouring the contestants into an amazing array of show-stopping evening gowns. 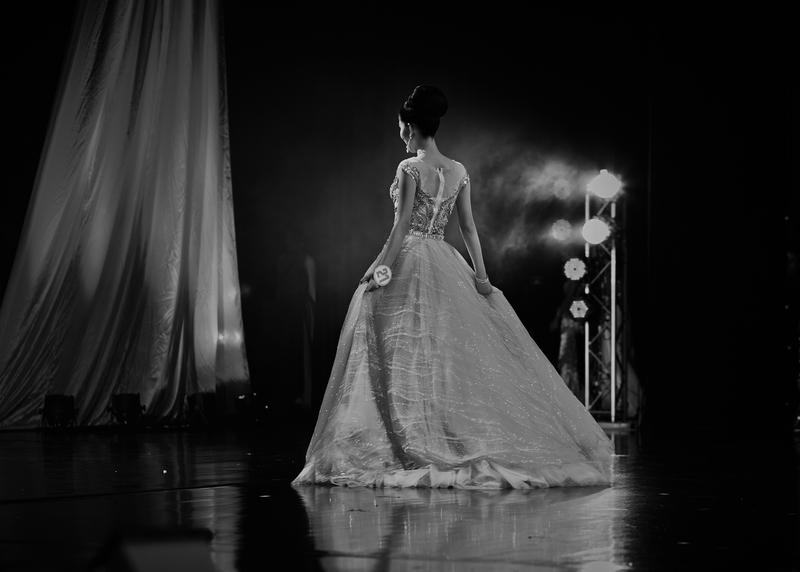 For many contestants, taking part in the pageant represents a lifelong dream of achieving feminine beauty, while for others it’s about enhancing their career opportunities, particularly in the highly competitive worlds of modelling and TV. 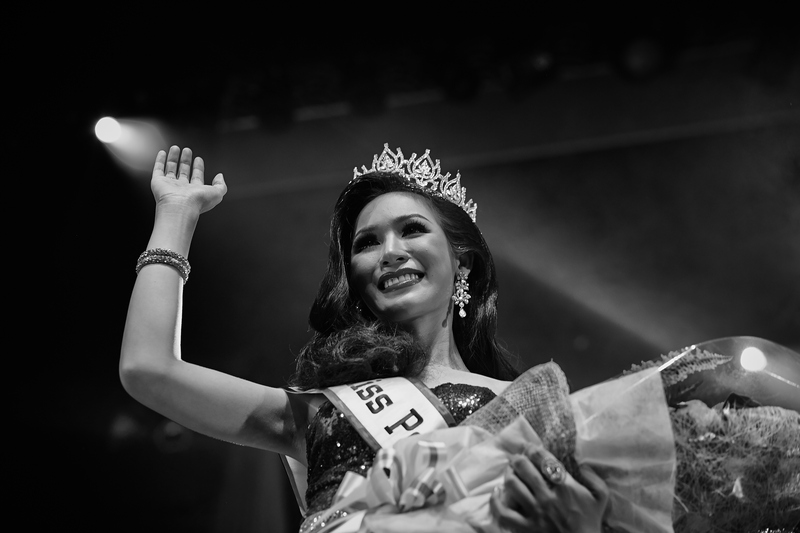 Then, there are those, like Natalie, a PhD chemistry student, and Mud Hmai, an Arts and Education undergraduate who want to use the pageant as a platform to raise the status of the transgender community and give it an intelligent, modern voice. “My dream is to have a successful career as a teacher and to work in the charity sector. says Mud Hmai. “I want to show how smart and successful ladyboys can be and that we are not something to be laughed at or made fun of. As ladyboys it’s so important we take whatever opportunities we can to raise the status of transgender people and to help bring about equality, tolerance and understanding within the wider community”. 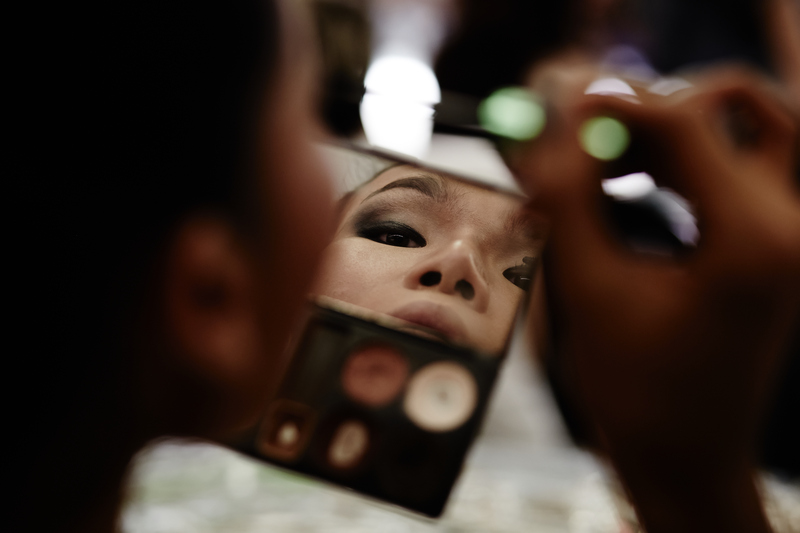 The stigmatisation of ladyboys in Thailand might seem surprising as many work openly in the retail, beauty and entertainment industries, particularly in Bangkok. Yet talking to the contestants it seems each and every one has, at some time, experienced taunts and vilification, whether it be at school, a workplace or even from within their own families. “My family never accepted me and in fact when I was younger they completely rejected me”, Poy, 23, tells me as she sits in a makeup chair being primped and primed for the night’s event. “They told me that if I was hungry I would have to beg for food to feed myself because they would never take care of me while I was dressing like a girl and wanting to be a girl. When I left school I started a business, a noodle restaurant, and now I have three around Bangkok. Since I have been successful and shown them what I could do, how hard I could work and that I can stand on my own two feet, it has been easier. Now things are better and my family have started to accept me for who I am”. Stories of rejection, heartache, sadness, confusion and anger are common across the room. So much so that there is here a beautiful camaraderie amongst the contestants and a sense of shared experience and understanding. Ochin and An-Na also seem to instinctively know this and perhaps it’s fair to say their own life experiences have shaped their compassion and very clear maternal instincts. “It’s hard not to let the bad experiences affect you and to make you bitter, but we have to fight against this and to be better than this. We have to show what we are capable of and to lead the best life possible for ourselves and those around us” An-Na says. Meanwhile, as the auditorium starts to fill, contestants quickly give offerings at a makeshift shrine before scurrying upstairs to take their places in the stage wings. There An-Na weaves amongst them, firing off last minute advice to anyone who’ll listen: “Walk gracefully … Don’t stomp … Relax those arms…. and be yourselves’, she trills. “Most importantly, have fun. You’ve earned it”, she says. As you’d imagine, the pageant itself is pure razzle dazzle – a high octane mix of parading, costume changes, song and dance numbers, question and answer sessions and a whittling down process from 27 to 15, 10, 6 and then a final 3. While there is obvious disappointment and tears for some, for others it’s a chance to kick off their heels and rub their tired aching feet, the exhaustion and adrenaline comedown clearly palpable after all the weeks and months of preparation. Finally, a winner is announced, and the title of Miss Perfect Angel awarded to 21 year old University Student, Mud Hmai (Chanokvanunkhon Panyakhom) from the Northern Tak Province. As the glittering crown is placed on her head, the audience breaks into catcalls, whistles and furious applause, while a crowd of photographers surge to the front. The scene is chaotic and wild, but Mud Hmai handles it with grace and aplomb, smiling and waving serenely and already assuming the air of a seasoned professional. It seems Ochin and An-Na have done their job well. “Winning the title means so much to me’, Mud Hmai tells me later. “I worked so hard to prepare and I’m truly excited but most of all I want to use it to do more of the things that are important to me. I already do some charity work (teaching children in an orphanage) but I want to do more, after all my looks will not be forever! I want to show that ladyboys are kind and compassionate and that we are willing to contribute many good things to our community. 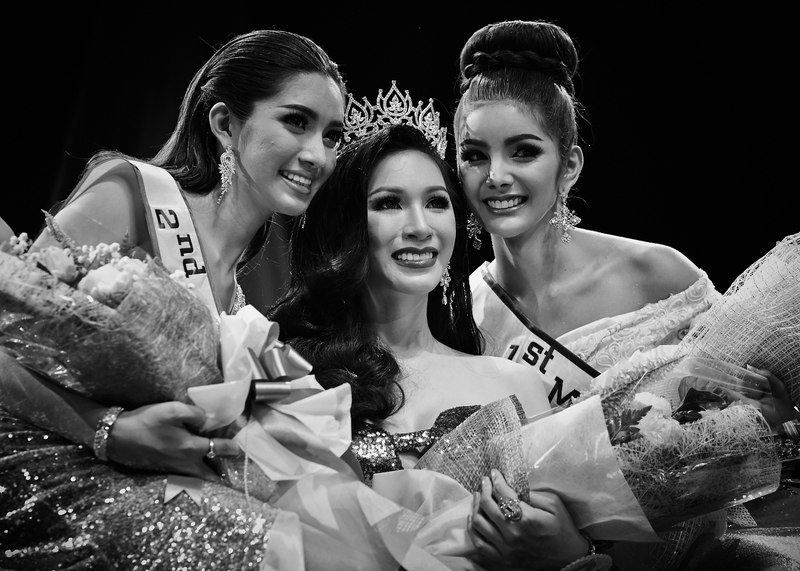 If I can help to transform the image of ladyboys through winning the title then I will be happy”, she says. omg, the photos Pinky !!! !